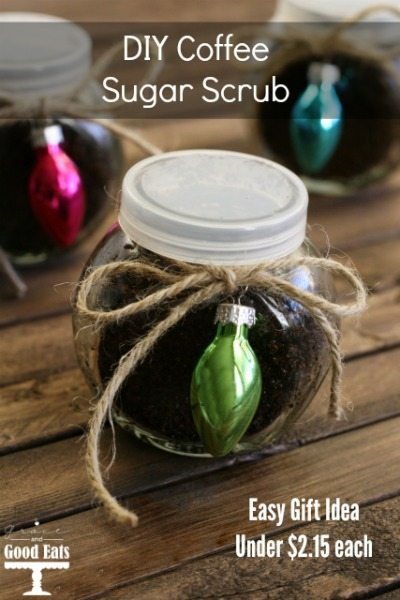 This DIY Coffee Sugar Scrub is an easy gift for teachers, friends, or family and costs less than $2.15 per jar. This is a sponsored post with Dollar General, all thoughts and opinions are my own. I have always loved the smell of coffee, even before I started drinking it a few years ago. My husband has always enjoyed drinking coffee and I used to steal whiffs from the canister every time he made some as I tried to wake up. It always smells so rich and delicious. Now it feels like my day doesn’t start before my morning cup. A few weeks ago I attended a conference and they gave us all samples of the most amazing sugar scrubs. When I ran out of the sample a few days ago I was thinking about what smells I would want to use to make my own. I love strong, energizing aromas in the morning, like peppermint and coffee. I decided to experiment with a coffee sugar scrub– and I am quite pleased with the way it turned out. And it makes for a perfect DIY gift! Mix all of the ingredients together until well combined. Makes about 3 cups of finished scrub. 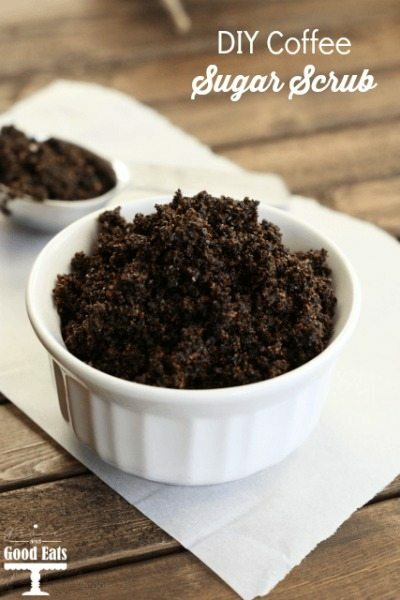 This coffee scrub sounds like a wonderful scent to start the morning! Plus, what’s not to like about an exfoliating anti-oxidant? 🙂 I bet these would make great gifts too! Popping over from I Should Be Mopping the Floor! 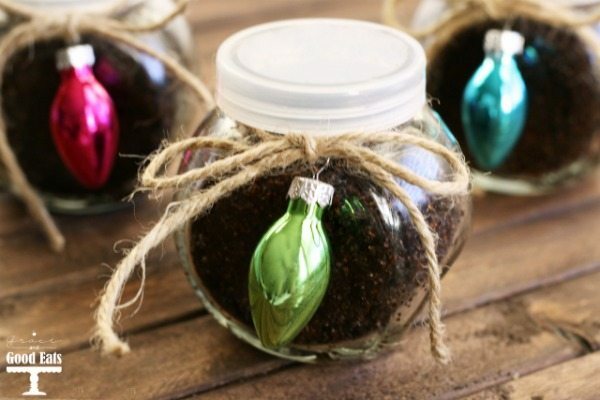 I recently bought some jars to fill with homemade scrubs for Christmas gifts! I’ll try out this recipe. And I love the little bulb ornaments on the jars!